Louisa Martin, SIREN (2017). Co-choreographed with and performed by Masumi Saito. Exhibited at Jerwood Space for Jerwood Staging Series 2017, supported by Jerwood Charitable Foundation and Arts Council England. Siren is the first public iteration of a new series of performance works from Louisa Martin, building upon previous work involving live improvised sound performances and working directly with performers. 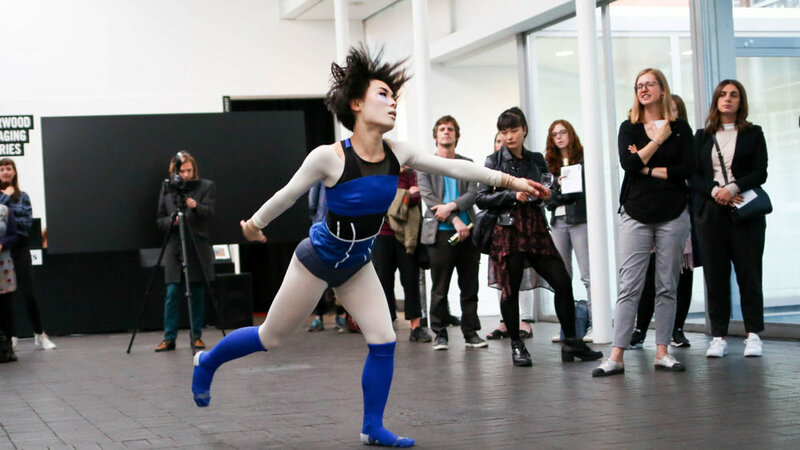 The event took place across Jerwood Space’s three galleries and comprise sculpture, light interventions, orchestrated sound works and samples and a movement piece co-choreographed and performed by Masumi Saito.